This book gives every student the necessary tools to write with clarity and confidence. 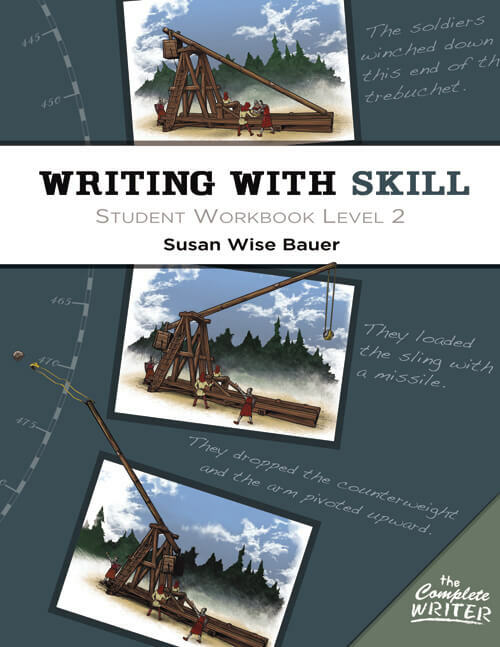 For students in the middle grades and above, Writing With Skill Level 2 provides essential training in organization, composition structure, and research methods. It builds on the skills taught in Level 1 to take the student to an even higher level of achievement. ~ One-, two-, and three-level outlining. Can you start at Level 2 or 3 without doing Level 1? Sarah: For this curriculum, we do not recommend skipping any levels, because there is so much material covered in each level, and because the levels build on each other. Do you keep the papers from the WWS1 in the binder and add papers from WWS2? Or do you start with a clean binder each year? Rebecca: You could do it either way, but we slightly lean toward starting a clean binder each year, since otherwise it gets bulky and heavy pretty quickly. Where is Level 4 book ? This series is a three-level series. After completing level 3, the student is ready for advanced writing (sometimes called Rhetoric). Is the workbook necessary to accompany the instructor text for writing? It is highly recommended. You can do it without the workbook if you pick your own texts for the student to read and summarize each week, but most people find that to be a lot of extra work.